Christ Candles decorated with liturgical symbols and exclusive art call us to worship in every season of the year. 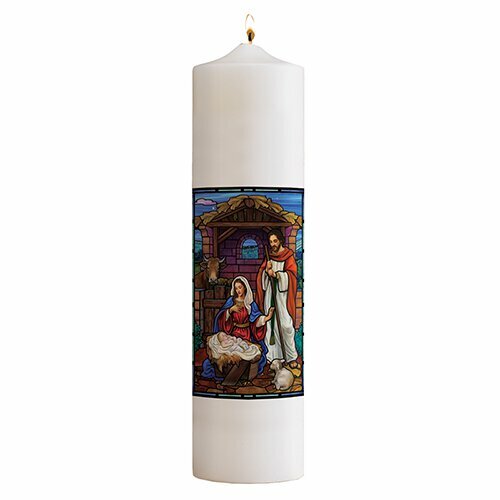 The Stained Glass Nativity candle is decorated with a full wrap decal and hand-tooled to ensure a blemish-free finish. Made with 100% paraffin wax by Will & Baumer®.